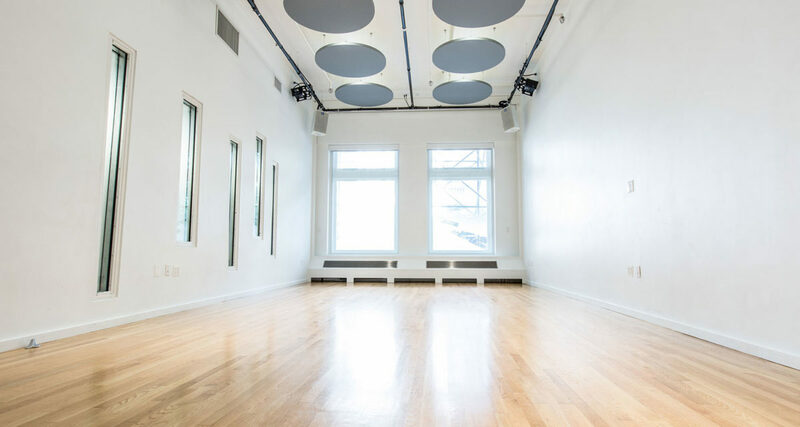 Studio A is a sun-lit and fully accessible ground floor studio with windows looking out at Chambers Street. 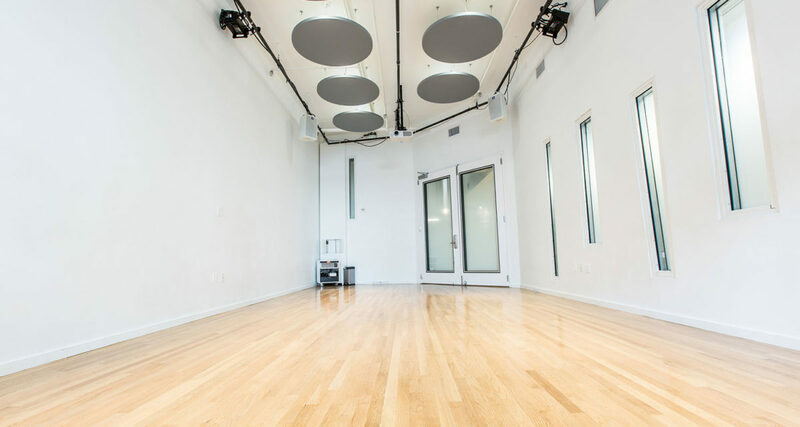 Known as “The Lab,” Gibney’s smallest performance space, the studio is equipped with lighting, sound, and projection capabilities, and includes rolling mylar mirrors. Use of shoes prohibited. When Gibney moved in to 280 Broadway in 2014, Studio A was unused space. During the renovation, our architects developed a plan to rotate the staircase in order to make room for this brand new studio, with the angled wall as a nod to the Flatiron Building near our original home at 890 Broadway. The space’s windows allow passersby glimpses of the movement happening inside, bringing dance to street level. Studio A is also home to Gibney’s Sorry I Missed Your Show series, along with a range other screenings, discussions, and digital media workshops.